It’s an exciting time to look for homes in the greater Boston area, and nowhere is this excitement more palpable than in Cambridge. With easy access to public transport and downtown Boston, this township has quickly developed a reputation as an excellent location for those who appreciate all of what city living has to offer. 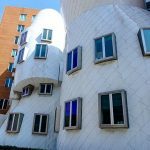 Housing two the world’s most prestigious academic institutions, Harvard and MIT, Cambridge is known for its vibrant nightlife and exciting amenities. For instance, Harvard Square boasts the city’s best shopping options and has established a reputation for being a true culinary destination. Now, with cambridgepads.com, finding a three bedroom home is easier than ever. So what is cambridgepads.com, and how does it work? It’s an interactive portal that allows home buyers to access thousands of real estate listings in the area. Users can filter their searches based on price-range, amenities and location, and can work with real-estate professionals who know and truly value Cambridge. Listings are constantly updated, so if the perfect option doesn’t pop up immediately, it’s always worth checking back. To be sure, however, there’s no other real estate portal in the Boston area that even comes close to having the quantity and quality of available local home listings. What really sets apart cambridgepads.com is that this portal makes sure to only list properties that come from realtors and owners who have a proven track record of integrity and fairness. Clients are put in contact with local professionals who are a part of Cambridge, so they get an insider’s view of potential neighborhoods and work with people who know the ins and outs of the area. Cambridgepads.com removes much of the guesswork that goes into finding good three bedroom homes; it’s an incredibly convenient, reliable way for potential buyers to find their next homes. 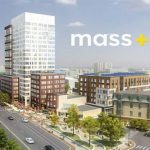 There really is something in the air in Cambridge; the area has continued to see tremendous development and growth over the past decade, and the future looks promising. As easy as it is to get to downtown Boston and other neighborhoods from here, it’s always been a destination in its own right. See what the buzz is about by surveying the 3 bedroom home market with cambridgepads.com, the area’s largest and best local web based real-estate portal.